There will be a counter-rally starting at 7pm ET that is located one mile away from the Trump venue. It is meant to be a contrast to the Trump rally (9pm ET). Beto O’Rourke will be speaking at the same time as Individual-1. Former El Paso Congressman Beto O’Rourke is holding a competing rally with President Trump’s in El Paso, Texas Monday night as the rumored 2020 contender is expected to lead thousands in a “March for Truth.” O’Rourke will organize just before Mr. Trump takes the stage at his own rally in support of his long-promised border wall. Folks, stop claiming Dems are pushing this cap on detention beds "at the last minute." That's what Trump says. But it's a straight up lie. 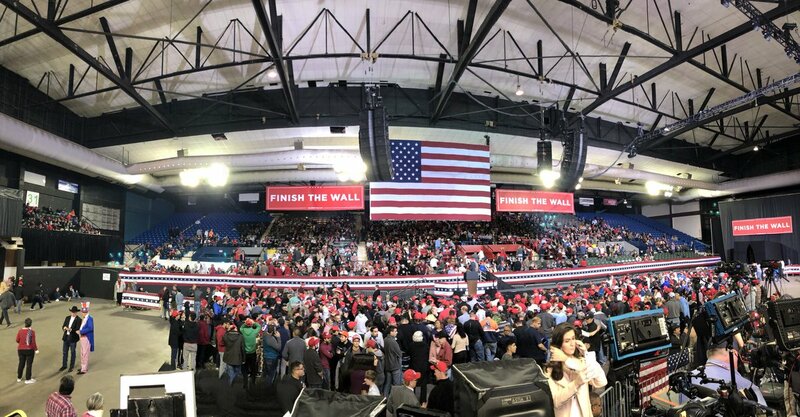 Troll-bots claim “thousands” wait in line for an arena with 6,500 capacity. Dear @realDonaldTrump: FYI the Republican Member of Congress who represents El Paso opposes your Wall.